The results are in: the demand for organic, chemical free and local food is on the increase. A recent report by Australian Organic indicate a 44% increase in organic sales for Australian domestic and export markets. Local food is trending high, farm gate vendors are opening new and innovative businesses and more retailers are labelling their fresh produce by location, as well as promoting organic and biodynamic principles. Our food system is supporting more local diversified food production and sustainable distribution methods. So where does this leave native foods? Regional native plant propagator and nursery owner Mike Edwards says that finally after years of propagating native bush food plants in his Colac nursery with little demand he his now selling more than he ever has. This year he will be doubling the quantities he propagates for sale in 2016. While his team often plant more than 10,000 native seedlings a day, he requires particular native bush foods that are hard to obtain and require propagation. 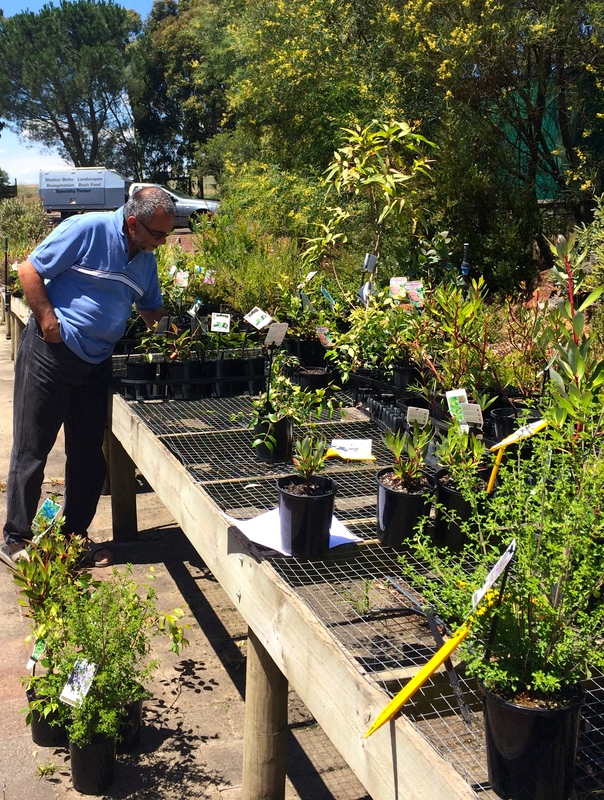 A recent visit to his nursery showcased numerous native plants for revegetation as well as his native food plants. From my list of ‘native foods’ obtained from the Australian Native Food Industry (ANFIL), Mike was able to provide native plants including the Riberry, Wild Limes, Muntri, Lemon Myrtle, Mountain Pepper and Cut Leaf Mint Bush (Prostanthera Incisa) to grow locally. Hidden away under shade cloth Mike took us to see the Shitake logs he sells. Mike is using Blue Gum cuttings although he occasionally trials other timbers depending on availability of fallen trees. The process of creating these Shitake harvest logs is longer than may be expected. The process includes inoculation of the logs, plugging with Shitake spores and then sealing with beeswax before a 12 month incubation period as the spores grow within the log. When ready the log is placed in cold water for 24hours (mimicking a substantial rainfall) to shock the spores into production. 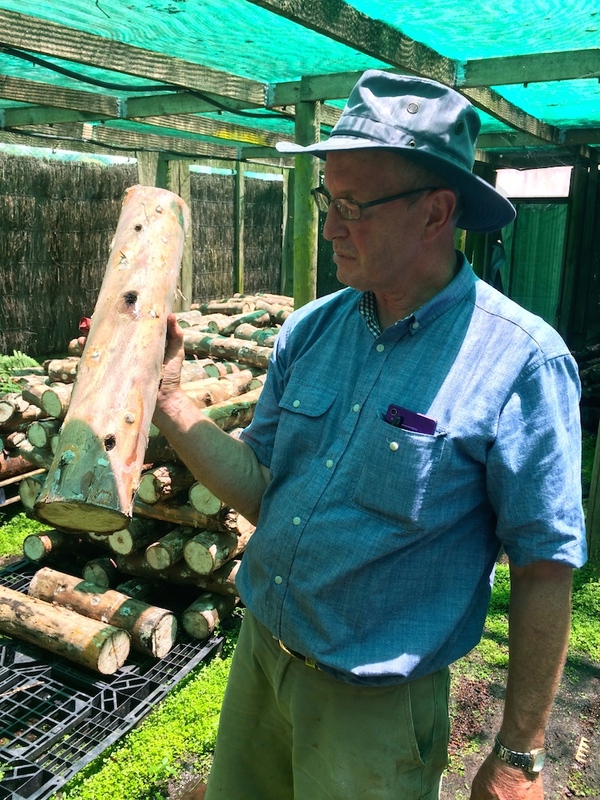 Mike recommends harvesting from the log four times a year for a three year period. This is a great small retail business that originated with the Otway Agroforestry Network program and the Otway Shitake commercial business. Agroforestry innovative businesses are a core area of the local Agroforestry Network, who also work alongside ANFIL. Together they are responsible for innovation and nutritional testing of native foods, creating opportunities for viable regional business. ANFIL incoming chair and previous board member Amanda Garner is passionate about native foods. Her work includes programmes with indigenous groups in Western Australia, Northern Territory and Queensland in developing small locally owned native food businesses. Her recent publication on Prioritising Australian Native Food Sovereignty, is published by the International Specialised Skills Institute. So how does this impact our food supply regionally? The Geelong Food Hub Feasibility Study is currently evaluating the region’s local food system and feasibility of a regional food hub to support ethical, sustainable local food production and distribution. A series of workshops and online surveys conducted in 2014 provide engagement from local food growers, distributors, processors, retailers and consumers. 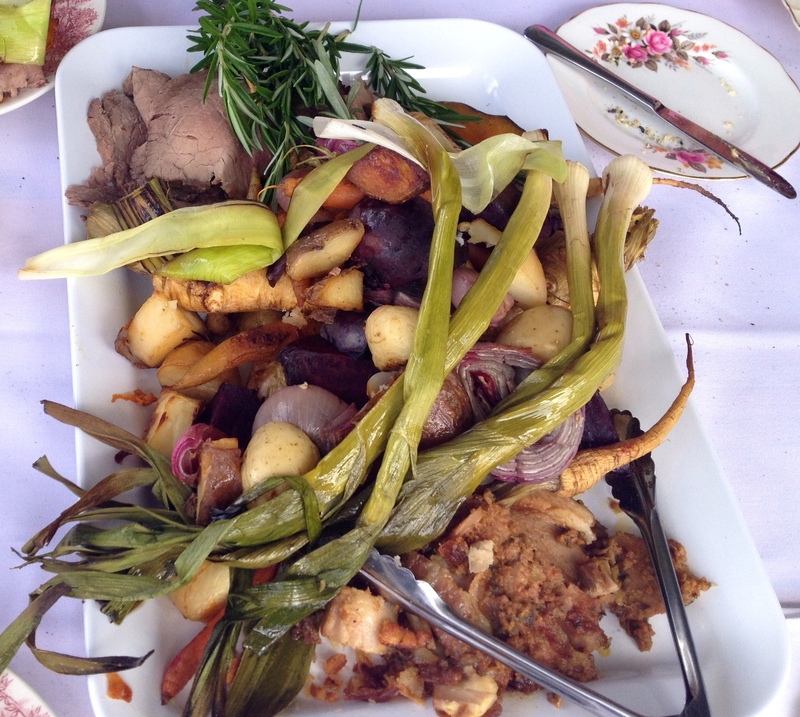 The Geelong Food Hub Feasibility Study will be published in coming months, but what then!? Well, trends are showing an increase in demand for local, nutritious, chemical free and ethically grown food along with a strong interest in native foods and spices. So when you are out next, ask where your food, pepper, salt and spices come from. Are you supporting local growers of ethical, sustainable food production? Defining ‘local’ food? “Local” food can be defined from the region or area it is grown, or its food shed (similar to a watershed). Accessing local food invests in our farmers / producers and local economy. What is a food hub? A food hub is a centrally located facility providing the aggregation, storage, processing, distribution and /or marketing of locally produced food. What is Native Food? Native or indigenous fauna/flora used for culinary and/or medicinal purposes, regardless of the continent or culture. About the Study The ‘Geelong Food Hub Feasibility Study’ builds on the understanding of our regional food system. It will consider the feasibility of a Geelong Food Hub to assist and support industry growth and community health. The study outcomes will be available early 2015. This work complements the strategic goals of the Geelong Public Health and Wellbeing Plan 2013-2017. The study is a Deakin University project led by the School of Architecture and Built Environment, with consultant Innate Ecology and the City of Greater Geelong. For further information on the Geelong Food Hub Feasibility Study please contact Suzette Jackson: suzette@innateecology.com. The project is funded by Regional Development Victoria, Deakin University, Future Proofing Geelong and Enterprise Geelong of the City of Greater Geelong.